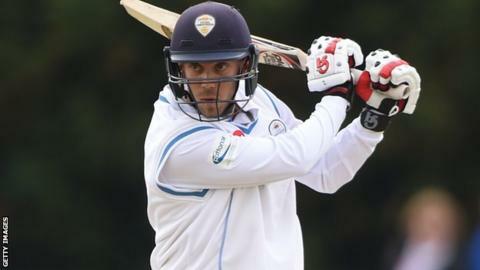 Derbyshire all-rounder Alex Hughes has signed a one-year extension to his contract and will remain at the club until the end of the 2021 campaign. The 27-year-old, who came through the club's academy, was an ever-present in all three formats in 2018, scoring 918 runs and taking 32 wickets. "Alex is a consistent performer with the bat, ball and in the field," head of cricket Dave Houghton said. "He's a player we can build a team around for years to come." Hughes scored 737 Championship runs in 2018 at an average of 28.34, including one hundred and five half-centuries, and took 10 wickets. The right-armer was the county's leading wicket-taking in the T20 Blast this summer, claiming a joint club-record 17 wickets with best figures of 4-42.